Departure for Stagira, the birthplace of the famous philosopher Aristoteles. 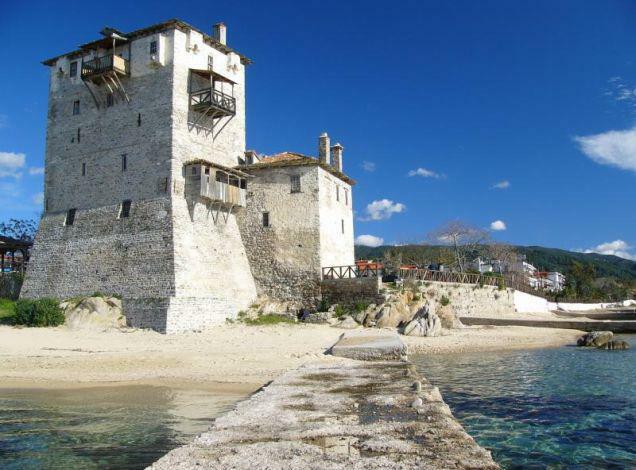 We continue to the charming village of Ouranoupoli in Chalkidiki and we shall embark for the cruise of Mount Athos. One can admire from the boat the beautiful monasteries, which transformed this area into a place of particular historical and cultural importance and enjoy a landscape of great natural beauty. Return to Ouranoupoli. Time at the disposal of the tourists for lunch and for a tour in the picturesque town. Our last stop is the traditional village of Arnea. Return to Thessaloniki.